Julie and I were married in January 1985. We have four children, and are blessed to be grandparents. Julie trained as a primary school teacher, and while she still does relief teaching to help the household budget, her main passion is prayer ministry and seeing people walk in the freedom of the Father’s love. I was a pastor with the Lutheran Church from 1984 to 2009, serving in south-western Sydney and then at Para Vista in Adelaide, where I was privileged to lead a wonderful team as senior pastor. Our mission is simply to walk in the love of the Father and give it away so all people may cherish his grace and extend his glory. Everything starts with people knowing how incredibly loved they are. The acceptance we already have because of Jesus gives us a new identity as sons and daughters of a perfectly loving heavenly Father. The love of the Father changes everything, and nothing changes without his love. This is now Julie’s and my life passion … to see everyone come to know their place in the Father’s heart and to live from that place. It means you can grab life and take risks led by the Holy Spirit. This is what saw us follow the calling of the Father out of mainstream church and into a ministry of equipping people to plant house-churches, that is, missional communities with a culture of living loved so we can all live loving. 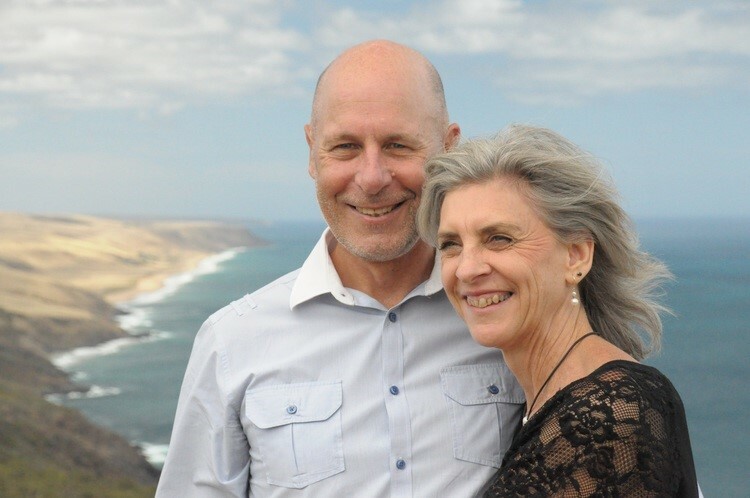 Julie and I partner with Craig and Taya Joppich as part of Starfishoz, a network of Kingdom families in South Australia. We are blessed to be served by Craig and Lorna Kirkby in Melbourne, who believe in us and keep us grounded. See Craig’s website, A Better Future Now for more info.